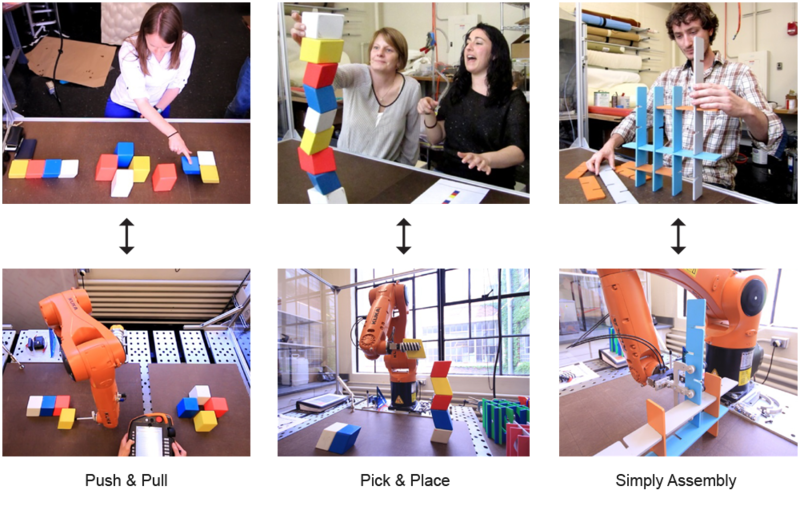 As a way to inform robotic motion planning I designed experiments to study basic human manipulation tasks such as pushing & pulling, picking & placing, and simple assembly. Most, if not all, human action can be described in these terms. Even within such highly constrained tasks humans exhibit a wide variety of interaction strategies. By understanding and formalizing fundamental human interactions we can program robots to extend our manipulative and potentially creative powers. In this video we observe how a subject attempts to build a wall 'as tall as he can' out of interlocking planar pieces. With only being able to use one hand he struggles with understanding how the pieces could be assembled as a tall structure. This suggests that thinking is different with one hand vs two.